When I was a junior in high school I was your normal sports obsessed teenager. Not anything particularly weird about it. I would watch SportsCenter every hour of the day, find ways to follow every story, play every fantasy sport I could – the works. The only special caveat being, of course, that I couldn’t play sports myself. Given my bone condition, my career would never have me suit up to play. Osteogenesis Imperfecta forced me then to find a way to be involved without stepping foot on the court. That summer before school started, however, I was introduced to Grantland. This site was the project spearheaded by my idol Bill Simmons where he looked to recruit young talent and become the best sports and pop culture site on the web. From day one on the site it was amazing. Simmons’s style already started to bleed into my own thoughts. He opened up the door to what I want to do. Bill Simmons is able to work with everything sports and pop culture despite not being able to play. He’s someone I’ve looked up to from the time I started thinking what I wanted to do with my life. I have looked at Grantland every day, almost without fail, for the last four years. I have spent more time reading the articles from the staff on that site or watching their videos or listening to their podcasts than anything. Following Grantland was, is, and will forever be the best class I’ve ever taken. Their staff of writers and editors is the absolute best in the world. So in 2013 I broke my leg again. My most recent broken bone to date afforded me the opportunity to try something I’d been dreaming of for the longest time. I wanted to start writing. Not just some little article here and there, but really writing. I’d done minimal things in the past, but not anything serious. I wanted to be able to do what my heroes – Bill Simmons, Chuck Klosterman, Rembert Browne, Shea Serrano, Wesley Morris, Andrew Sharp, Emily Yoshida, and plenty more – were doing. That’s why, likely in a haze from my post-surgery pain medication, I decided to start Unbreakable. Unbreakable continues to serve to this day as a challenge to myself. In its most obvious form this website is a challenge for me to write about something new every day. That’s a tough enough challenge, but as we approach 700 days in a row with no end in sight it’s a good sign. On a more core level this website functions as good karma for me. I started writing shortly after my broken leg in 2013. Despite moving away from my safe bubble of high school and life at home for Boston I have somehow not broken anything. I could not believe more that this is a byproduct of Unbreakable. Getting into this habit of working hard and being careful, the former more on the blog, the latter not tripping or falling, has been extremely valuable. But further, this site is my own imitation of what Grantland has been doing for the past four years. That’s why it’s structured the way it is. 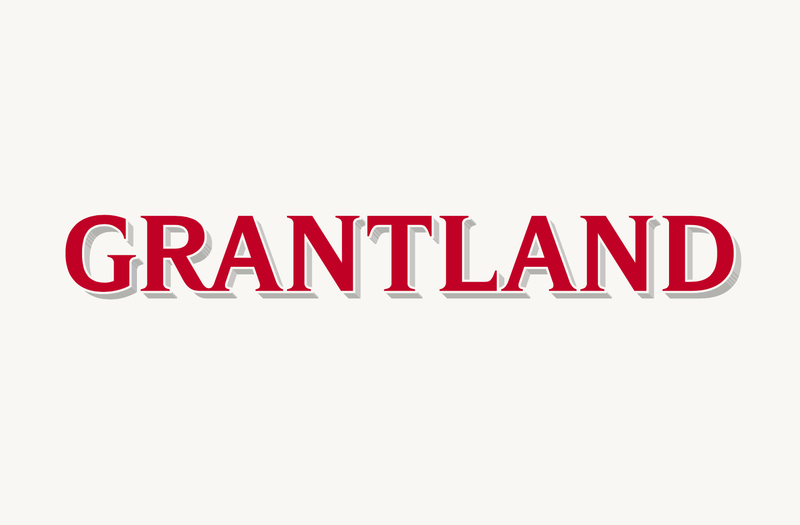 Grantland was my go to website for everything from movie reviews, to Kanye hot takes, to NBA Shootaround, and on and on. I can’t be on the court playing, so this is as close as I’ll get. I wanted to build this site in the hopes that one day I’d get called up to the major leagues. I have wanted to write for Grantland since the day it started. I would have given anything to be in the office with the incredible staff they have. I could have been grabbing their coffee and I’d be elated. But it doesn’t end there. Grantland was an inspiration for this blog, and in no small way has helped change my life in the same time. As previously mentioned I left home for Boston University and promptly started anew with none of my friends around me. I was alone. That is, I would have been, if not for Unbreakable. This crazy project led to the first article of mine that got real attention – My Journey to Boston University – that is still read every day two years later. Not only did the article get picked up by my fellow students, but some school figures that have gone on to hire me for jobs, interview me for university outlets, and help me whenever I’ve needed it. I made more friends off that article alone than I can possibly count. In continuing to write I gained more self confidence than ever before. For as much as I like to come off confident and prepared it’s largely an act. I have no idea what I’m doing, like, 95% of the time. I’m just another college kid. The only things that truly stand out on my end are that I pull my little magic trick by standing up out of my wheelchair time and time again and the fact that I run Unbreakable. It’s not exactly top secret that I’ve had my own struggles in the past with confidence issues of all shape and size. I still fret little things confidence and get down on myself constantly. I need to convince myself I’m bulletproof to stay that way outwardly. It’s the only way I can stay optimistic. There are so many times I could have given up, and certainly some where I could have with justification, but I haven’t. That’s because I get to live my dream of having people care about the dumb things I post on here. But what I was always most afraid of is that I would fade into the background away from home. I didn’t want to disappear. Much the opposite has happened. Unbreakable has allowed me to find my voice, both literally and metaphorically. Every single day I want to give that back to people by helping them. I’ve had so much support from people that it’s overwhelming. I owe the world for letting me have fun with all of this. That is why I write. I write because I wanted to try and live my dream and join Grantland. They opened up a website in 2011 and provided me with something to work towards. In the process I have been able to live a life that has become exceedingly interesting, and markedly better than I could have ever imagined. It has kept me from breaking down, physically and mentally, more times than I could imagine. And when I can make the people I love proud, that’s the greatest feeling in the world. ESPN shut down Grantland today after four years of publishing content. I’m going to need some time to figure out what comes next. I don’t know where we go from here. All I want to do now is to thank Grantland for helping me become the man I am today. I will forever be indebted to the amazing people of that website. And even more so to the people who let me live this dream every day. Thanks for listening, I just needed to share with someone today.